I am a big fan of thrillers and loved The Da Vinci Code and Angels and Demons. Dan Brown’s books typically have poor writing and character development, but he makes up for it with fascinating plots. I also love the way he intertwines symbolism, art history and exotic locales with fast paced action; though obviously one has to suspend disbelief that a professor of symbology is the perfect person to solve these mysteries and that the Bond-esque villain just has to leave a litany of clues for Robert Langdon to unravel his evil machinations. The book is a quick read, fast paced and fun. It does not soar to the heights of Angels and Demons, possibly because the formula he uses is no longer original. In basically every book Langdon gets himself sucked into a situation where he is called upon to provide his expert opinion; suddenly everything gets complicated and goes global and he finds himself traveling around the world looking for clues aided by an attractive woman while chased by some sort of secret organization. Inferno follows the same formula. 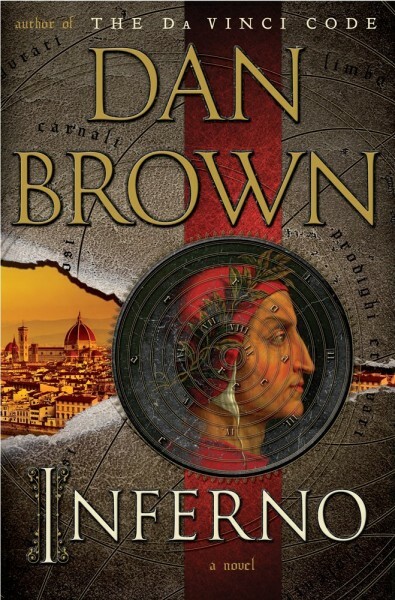 It is essentially a scavenger hunt set in Florence where Langdon needs to decipher clues in paintings and artefacts connected to Dante’s Inferno. However it succeeds where The Lost Symbol failed in being more interesting and engaging even if the end is a bit anti-climactic. All in all a fun beach read!